Stories. There is no single story of tobacco control. 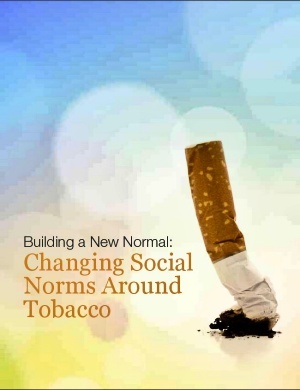 How the achievements of Nova Scotia’s tobacco control movement helped create a new picture of health in this province. That the work of tobacco control advocates isn’t done – many people in Nova Scotia continue to smoke and continue to start to smoke. The next steps – learn from our earlier successes, continue to speak with a single voice. Thanks to tobacco control advocates, Nova Scotia is a healthier place. But across our society, people continue to suffer from harms related to alcohol, obesity, and yes, tobacco. Let’s take our skills, rally our teams and keep moving forward. We still have work to do. Want to share this work with others? We have provided you with a PowerPoint Building A New Normal companion resource for this document.